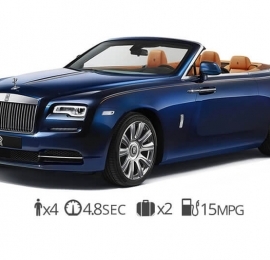 If you happen to be looking for the ultimate luxury car rental in Miami, this is it. The Bugatti Veyron is the fastest and most exclusive supercar at Diamond Exotic Rentals Miami. One of the world’s most popular vacation spots due to the trendy nightlife of South Beach, and the beautiful Art Deco district of Miami Beach is the ideal location to for a Bugatti rental. Production companies in Miami are the primary customers for this sweet ride, but every so often we get the high school kid looking to rent a Bugatti for prom. They are sadly disappointed when they find out the cost to rent a Bugatti is $25,000 per day. 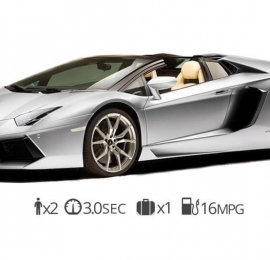 There’s no question about it this is one of the most coveted exotic cars in the world to kids and adults alike. 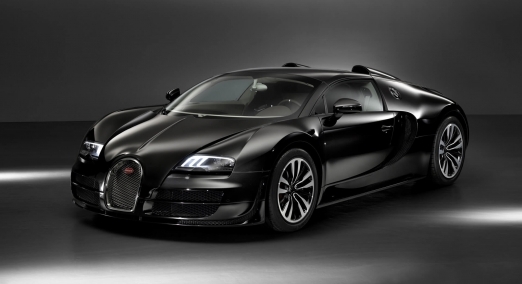 The Bugatti Veyron has a 16-cylinder engine that produces a record-breaking 1,001 horsepower. A masterpiece of automotive engineering, Bugatti has always gone above and beyond to produce supercars. The Veyron can go to speeds of over 230 mph and reaches a 0-60 in just 2.5 seconds. This is the ultimate car to photograph for your next commercial or photo shoot in Miami. Ettore Bugatti did an exceptional job of designing the automobile inside and out. When you climb aboard the Bugatti Veyron the first thing you will see is the solid aluminum center console with a futuristic shift knob. The Electronic Stability system is not only aesthetically pleasing, it also ensures the Bugatti sticks to the pavement at any speed. It’s carefully crafted aerodynamics is also one of the top reasons customers want to rent a Bugatti. We have several exotic car brands available including Lamborghini, Ferrari, Rolls-Royce and Bentley but a Bugatti tops all of them in terms of looks and also performance. A Bugatti is the ultimate luxury car rental Miami has to offer. The back spoiler can also be lowered and raised with the push of a button. 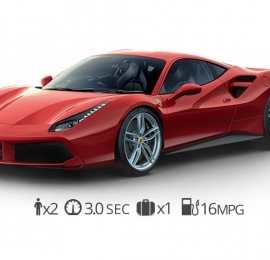 It is intended to provide the perfect balance between speed and handling. The steering wheel of the Bugatti Veyron is covered with leather and have the EB logo that stands for the inventor Ettore Bugatti’s name. The seats and most of the interior has rich Napa leather and brushed metal accents letting you know you’re in a Bugatti. The car is also equipped with an air quality control system that keeps all the pollution outside. Are you ready to experience the best Miami luxury car rental? Such a super sports car may not seem to be brought to a halt easily, but the Veyron’s ceramic brakes slow it down faster than it can accelerate. 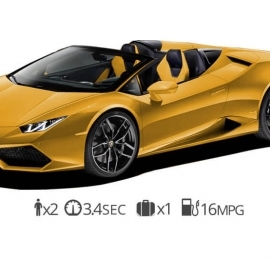 While it takes this exceptional auto just 2.5 seconds to go from 0 to 60 mph, it needs even less time – a mere 2.3 seconds – to come to a standstill from 100 (reference point). To reduce the risk of injuries in accidents, Bugatti had a Formula 1 safety concept adapted for the Veyron. All these technical details combine to make the Veyron a truly exceptional super sports car. Rent Bugatti Veyron Miami today!